Mrs. Dolores Ray Wright-Kea, formerly of Washington, NC passed on June 8, 2015 in the Nash General Hospital, Rocky Mount, NC. Dolores was the daughter of the late Willie Weston Henry “Love” and Dorothy Peyton Wright. Dolores was also the grand-daughter of Mr. Henry and Mrs. Rosa Jones Wright. Her maternal grandmother was Mrs. Catherine Peyton. Mrs. Kea is survived by her husband Willie Thomas Kea, her son De’Sean “Superstar” Kea; brother James Henry Wright, III; sister Wilma Wright Moss and a devoted first cousin Mrs. Barbara Wright Tripp Lawrence who were raised together as sisters, two step daughters Jacqueline Kea and Keicha Kea, a niece Mary Allyson Winston also survived by many relatives and friends. A Celebration of Dolores’s Life will be held Saturday, June 20, 2015 at 11:00 AM at in the chapel of Johnson Funerals and Cremations, 661 English Road, Rocky Mount, NC. The family will host the wake at 7 Pm until 9 Pm at the funeral home Friday, June 19, 2015. 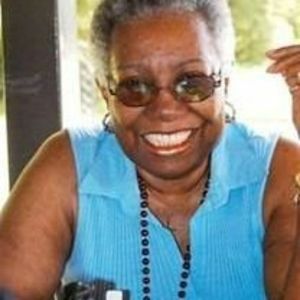 Mrs. Delores Kea will be entombed following the service at Rocky Mount Memorial Park, Rocky Mount NC.